As I’m sure most of you are aware, Movember is a yearly event whereby men around the world grow moustaches to raise money for charities such as The Prostate Cancer Charity. The event which reportedly started in Australia in 2001, has now become a worldwide phenomenon endorsed by multi-national brands, celebrities and is attracting a lot of attention on social media. The Movember website itself is sponsored by Marshall, Old Spice and Snickers who have done a fantastic job of aligning this with their brand image. The Old Spice guy is one of the world’s most impressive social media phenomenons and whilst we haven’t seen the man himself sporting a mo, I’d hope that this would come during the course of the month. Old Spice’s manly image is a perfect match for Movember and so is the man who claims to “smell like Zeus’ bigger & more handsome brother”. It’s great to see such respected global brands showing they have a sense of humour and are in touch with modern trends. Movember is a fantastic cause and thanks to its humorous approach, it raises a significant amount of funding and awareness for charities such as The Prostate Cancer Charity. Here are the pictures of our clean shaven candidates Monday 1st November at 9am. We will update you as they groom and sculpt their facial hair, all in the aid of a great cause. It’s not too late to register if you fancy joining in. 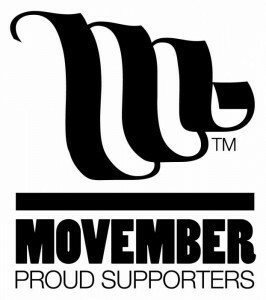 For more information and to donate to the Movember cause, visit https://uk.movember.com/.